 GLORIOUS HEALTH CLUB, ART GALLERY, AND EDUCATIONAL DUNGEON - SEE WHAT is GOING ON ! SEE WHAT is GOING ON ! AT THIS TIME WE ARE TEMPORARILY CLOSED DUE TO REMODELING. WE RECENTLY HAD SETBACKS WITH OUR OPENING DATE DUE TO D.C. GOVERNMENT INSPECTIONS. This is a very ARTIST friendly Gay Owned Art Gallery and GYM with an approved 2010 DC inspected Steam and Shower area. You may use any approved AEROBIC EXERCISES. We have Boxing facilities and lots of walking areas. USUALLY Open 24 hours a day. This is a Gallery is where you can relax not only looking at 1920 to 1930 depression pottery, but also see our W.D.C. Gay Artist paintings and their exhibitions. We also have many great “straight” non-sexual art exhibits. This is a wonderful meeting place to see visitors and DC residents who love this business. Our large Parking Lot and the inside Clothes Lockers and Changing rooms are free (bring a padlock and towel to save on an optional expense). We also have a bike rack. Bring Government approved ID. 18 year olds and above may enter. We are not an ABC liquor establishment. Any private parties with liquor must be approved with a one day ABRA license. Only 21 year olds and their guests may enter, if there is a private party with alcohol. This Art Gallery and Gym has never discriminated on Age, body type, or GENDER for we do have a female locker room. Please note that we are not an Adult Book Store, Movie Theater, or have any Coin Operated Video Booths. Artists may proudly exhibit their works of Art on a moment’s notice in our meeting conference room. We are D.C. Community oriented 24 hour volunteer distribution center for the D.C. Department of Health for men and women in need of condoms or lubricant. YOU WILL BE GETTING MUCH MORE. ​REALLY VERY SORRY FOR YOUR INCONVENIENCE.